MAAM is excited to announce another first for the aerial lineup at the 2019 WWII Weekend. The fabulous Mitsubishi A6M2 "Zero" will be among the nearly 50 warbirds in attendance at the show. The 'Last Samurai' is one of the rarest birds flying, so don't miss your chance to see the plane our pilots called the "Zeke" tussling with a Wildcat, Warhawk, Corsair, or Kingcobra in the sky above Reading in June. 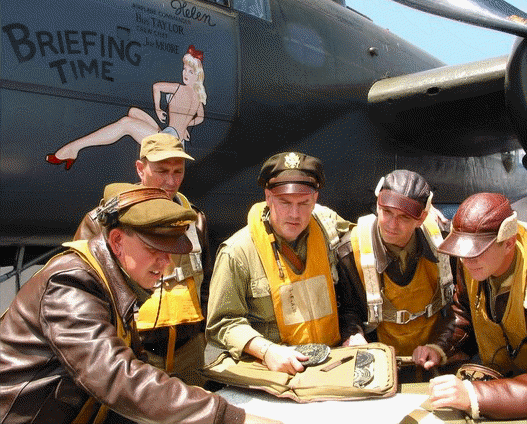 We have a fantastic line-up of aircraft coming to MAAM's WWII Weekend in June! Airplane rides will be available on several of these aircraft. Gates open at 8:30AM each day. Friday and Saturday shows end at 10:00PM, after the Hangar Dances. Sunday's show ends promptly at 5:00PM. For directions to the show, click here. HANDICAP PARKING IS AVAILABLE. Please have your handicapped sign visible, hanging from your mirror. If handicapped passengers are able to climb onto a bus, they will get the best service in our regular lots. Shuttle busses will drop you off right at the gate where you can get a mobility scooter. PARKING LOT BUS STOPS are marked with BLUE FLAGS. Buses only stop at these marked bus stops. Shuttles will run constantly. A short wait should be expected, especially during peak in-flow and out-flow periods. Illegally or improperly parked vehicles blocking traffic in lots or on the street may be towed at the owners expense to keep traffic flowing. All parking is at your own risk. NO SEGWAYS, HOVER BOARDS, OR PERSONAL MOTORIZED VEHICLES, EXCEPT TRADITIONAL HANDICAP SCOOTER CARS. Due to current airport security requirements, all persons and parcels are subject to search. Check in at the Mobility Man Crew booth at Gate #5, the ramp gate. Power chairs/scooters - $50 up to 6 hours, $5/hour additional after 6 hours. This pass is valid from 8:30AM Friday until 5:00PM Sunday. This pass is valid for admission on ONE day only! GOOD FOR ONE DAY ONLY. Children ages 6-12. Ages 5 and under are free. Dinner includes Ham, Potato Filling, Gravy, Corn, Roll with Butter, and Beverage. Dinner includes 1/2 Chicken, Baked Potato, Roll & Butter, Apple Sauce, and Beverage. SEPARATE ADMISSION TICKET MUST BE PURCHASED FOR THIS MEAL.